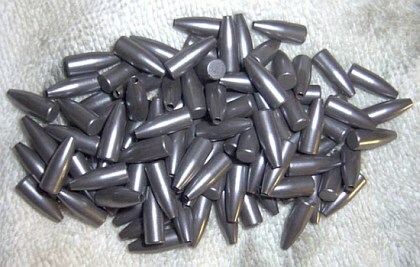 I wonder if someone would/could comment on coated bullet issues compared with the recent article on Melonite coating of the barrel? 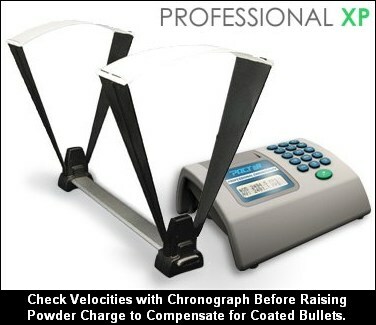 Do they have similar velocity characteristics? In the Melonite coated barrel, does the lubricity aspect disipate as the round count rises between cleanings? If so, would you “foul” this barrel as well to get the Muzzle Velocities stabilized? I’m wonder what happens if instead of 20 rounds to get the internal barrel coating, simply apply moly to the naked barrel like the brownells moly compound. That maybe can reduce the fouling string? The above article refers to “..potential benefits, including reduced barrel heat..” which seems a reasonable expectation, however does anyone have any actual data to support this? Is the effect significant or trivial? How is moly going to reduce barrel heat? The flame behind the bullet is what causes barrel heat and the guys that use moly coated bullets add more powder so there should be more heat, not less. You mentioned that your friend lost several cases because of excessive pressure. I find that it is common for shooters not be convinced by one over pressure load, and to continue on for several more shots, sometimes with drastic results. Perhaps a related tip would be that at the first sign of excessive pressure, you should stop shooting, and investigate to determine the cause. Surely loads that were hot enough to expand primer pockets were excessively flattened, and the bolt lift would have required more effort. Louis, a major source of heat is friction. I, like many forum contributors am a habitual experimenter. I use coated bullets now as a matter of course and am reluctant to use anything else, but it took a long time to learn how. Boyd is correct when he says, if you change any component in a load, you must start your load development again. For me though, I don’t see the point of any load that that requires a large number of foulers to settle in and then ultimately requires a clean out. I like to swab coat my bore with an emulsion of Eezox and HBN as well as using HBN coated bullets I coat myself. In two of my rifles, using this process even negates the need for fouling shots altogether (within the inch at 300 m). In others, a couple of foulers are still required. They are all rules unto themselves. Unlike moly, HBN is easy to remove and easy to replace and is totally inert for our purposes. The only trick is to make absolutely certain that the Eezox is dry before the next firing, and this usually takes around 20 minutes where I live. It could be a bit of a drag between rounds at a competition. You might also be surprised just how quickly your rifle now cleans up. These comments do not constitute a recommendation or advice. Just a description of what we do, and it works for us.